Make the main plugin lighter, by removing all non-core features. Customers who still need the integration can use the new addons, as required. Highlight that we provide those integrations as a temporary solution. Developers of the 3rd party plugins should make their products multi-currency aware, as that is a simple. By having a separate, independent addon, 3rd party developers will be able to inspect our code more easily, focusing only on what refers to their products, and import our integration in the main release of their plugin. Extended WC_Aelia_CurrencyPrices_Manager::convert_product_price_from_base(). The method now accepts a product and a price type, which are passed to the wc_aelia_cs_convert_product_price filter. The new information will make it easier for hooks to determine the context in which the filter runs, and take appropriate action. Fixed rendering of prices for grouped products in the frontend. 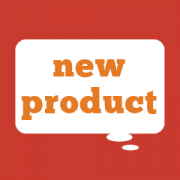 The prices for grouped products are now displayed correctly in WooCommerce 2.3 and later. Fixed currency code for Bulgarian Lev. The Currency Switcher used code “BGL”, which is incorrect. The code has now been replaced by “BGN”. Optimised performance of currency prices manager. Added caching of base currency. The WooCommerce Bundles Integration Addon for WooCommerce Currency Switcher is now available for download, free of charge. This plugin extends the WooCommerce Bundles plugin, and integrates with our popular multi-currency solution, the WooCommerce Currency Switcher. This addon will add features such as automatic conversion of product prices and manual pricing of bundles in multiple currencies. We released this extension as a temporary solution to make the Bundles plugin multi-currency aware, to give its authors the time to add such features natively, in the official releases of their products. Like our other addons, installing this plugin is as simple as uploading and enabling it. The multi-currency features will be applied to the Bundles plugin automatically, no configuration is required. Didn’t the Currency Switcher already support WooCommerce Bundles? Our Currency Switcher extends WooCommerce core, adding multi-currency capabilities to it. It also exposes an API that 3rd party plugins can use. It’s therefore reasonable to expect that 3rd party plugins should be able to work with a multi-currency core, instead of having the Currency Switcher trying to “inject” currency capabilities into all products on the market. Quite simply, the former operation is relatively easy, while the latter is not possible. Having integrations included within the Currency Switcher made it bulkier and harder to support. When the Bundles plugin was updated, introducing many breaking changes, we had to change the Currency Switcher code to deal with them. That involved the risk of breaking something else in the process. Integrations embedded within a plugin’s core are features that many customers may not need (if you don’t run the Bundles plugin, the integration code is still there). It’s better to keep them separate, so that only shops that need them have to install them. External integrations will make it easier for us to send the relevant code to the developers of 3rd party plugins, for their inclusion in the 3rd party plugins’ releases. Developers will be able to review our code more easily, and understand how to extend their products to add native multi-currency support. In the future, we will remove all integrations from within the Currency Switcher core, and move them to temporary external integrations. The goal will be to have the 3rd party developers make their plugins natively multi-currency, we will eventually dismiss the external integrations altogether. If you use the a 3rd party plugin, and would like it to have full multi-currency support, simply contact its developers to register your interest. We will be able to give them all the information they need to add multi-currency capabilities to their product, as well as the code we may already have written to “patch” their plugin. The multi-currency community is growing, and with your help can get stronger! In the meantime, enjoy another high quality product from Aelia! Removed call to an obsolete function. In the last version of the the PayPal Multi-account plugin we inadvertently left a call to an internal function that we had removed. This doesn’t always cause issues, but it might throw an error if the Subscriptions plugin is installed. This update removes the obsolete call. This post was written in December 2015. Based on our tests, the code works with with WooCommerce 2.5 and 2.6. Please keep in mind that the code example are provided “as is”, without explicit or implicit warranties. You might have to adjust the code to make it work with your specific configuration. You can find a link to the code for WooCommerce 3.x at the bottom of the article. If Product X is in the cart, that must be the only product in the cart. If Product X is not in the cart, any other product can be added to it and purchased at the same time. It works by emptying the cart when Product X is added after the other products. If a customer adds Product X to the cart, then he can add other products, and they will stay there. It doesn’t allow to have combinations of products (e.g. Product X and Product Y allowed together). It doesn’t make clear to the customer that other products cannot be purchased together with Product X (all products retain their “Add to cart” button, even if they should not). It empties the cart explicitly. We try to avoid this type of calls whenever possible, and rely on WooCommerce’s internal logic to decide what items should be removed, and when. It covers the requirement described above, where a specific product (e.g. Product X) must be the only one in the cart. It also allows to have more than one product allowed in the cart (e.g. Product X and Product Y), while excluding all others. It clearly informs the customers that some products can’t be purchased anymore. You can find it below, described step by step. The code can be added to the theme’s functions.php, or packaged in a plugin, if needed. It has been tested with WooCommerce up to version 2.5. The first thing to do is to determine what is in the cart. The content of the cart will dictate what else can be added to it. We do this operation only once per page load, for better performance. * Load the cart object. This defaults to the persistant cart if null. If any of the disallowed products is already in the cart, WooCommerce will remove it. The Add to Cart button will be replaced by a Read More button on the disallowed products. Customers won’t be able to add the products back, and will instead get a note explaining that they cannot be purchased. // Step 2 - Make disallowed products "not purchasable"
At this stage, we have the code that fulfils the original requirements. However, we need one extra step to make it more elegant. As we have seen, the code in step 2 prevents some products from being added to the cart if Product X and/or Product Y are already present, but it doesn’t explain customers why. We just need to show them a message with some information about the restrictions, to make things clearer. For the snippets above to work together, we must combine them in the correct order. More specifically, the code from step 2 should go inside the code from step 1. Here’s the complete code, ready to be pasted in the functions.php file: http://pastebin.com/BRU1BP2E. We prepared an example of how the code can be adapted for WooCommerce 3.x. You can find the code here: https://pastebin.com/tRbJKt37. Packaging the code as a plugin. This will help avoiding global variables and could make the code tidier and easier to read. 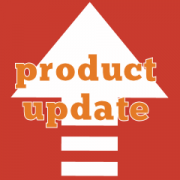 Adding support for groups of restricted products (e.g. Product X and Y or Product A and B, etc). Adding a dynamically generated message, showing exactly which restricted products are in the cart, instead of relying on static text. Adding formatting to the message displayed to the customers. Should you need assistance adapting the solution to your needs, or implementing any of the above optimisations, please feel free to contact us. We will review your specifications and provide you with a quote for your customisation. WooCommerce Meetup, Secrets of a Plugin Developer – Here are the slides! The presentation contains a summary of the topics that our founder, Diego Zanella, discussed during the Dublin WooCommerce Meetup on the 11th November. The topic of the meetup was “Secrets of a WordPress Plugin Developer”, and the document describes key concepts that will help you becoming a top notch plugin developer. How plugins differ from standalone applications. Advantages and disadvantages of plugins’ architecture. Some easy ways to find ideas for your first plugin. How to develop, test and support your product. Technical information to get you started. A short list of the most common “bumps” you will find on your way to success, and how to overcome them. Should you have any questions about the content of the document, please feel free to get in touch. Our founder will be happy to answer you, personally. If you would like to meet him, the next WooCommerce Dublin Meetup is scheduled for Wednesday, 9th December 2015, at the Realex headquarters. We will have a Christmas party with our WooCommerce friends and collaborators. https://aelia.co/wp-content/uploads/2014/08/article-badge-aelia-news.png 240 240 diego https://aelia.co/wp-content/uploads/2014/07/AeliaLogo_201310.png diego2015-12-07 10:30:162015-12-06 21:32:07WooCommerce Meetup, Secrets of a Plugin Developer - Here are the slides! The plugin allows to switch between Canadian and American Moneris servers, depending on the currency, when the related option is enabled. The bug caused the plugin to switch between the two servers even if that option was not selected, thus causing Moneris to return errors (which are fairly unclear, making the issue complicated to troubleshoot). This update fixes the bug, so that the switch between the Canadian and American servers occurs only when required.